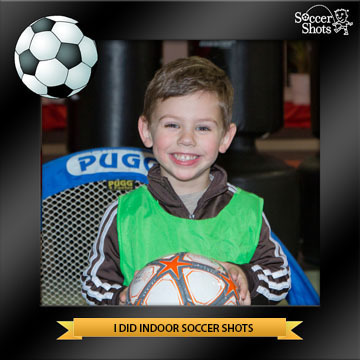 Soccer Shots-South Jersey offers soccer for 3 year olds who live in or very close to Gloucester County, NJ. 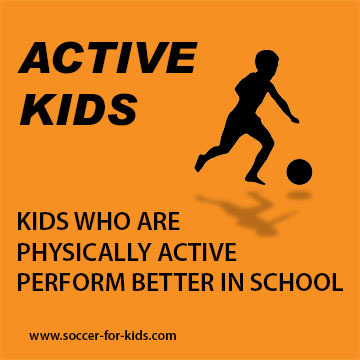 Your child should get soccer lessons from a company that specializes in soccer programs for 3 year olds. At Soccer Shots, that's all we do. We coach preschool aged children ages 2-6. With Soccer Shots you get soccer programs run by a company that concentrates all of its efforts on teaching just one sport to a specific age group. We don't refer to our soccer experience as "soccer training" because training is a term used for advanced players and we are an introductory program that's centered around having fun. Three year old children are just learning about group play. Concepts like teamwork, sharing, and fair play can be learned with soccer and applied to many other areas of life. Major sports like baseball, football, and basketball require more fine motor skills and are more complicated to learn the rules and are best left for kids that are a little bit older. Soccer develops agility, speed and stamina, and also teaches children the importance of teamwork, all within a game that is simple to understand at a basic level. Soccer is one of the best ways to get aerobic fitness. Although it's rarely a goal of parent to have their 3 year old be physically fit, it is one of the benefits of playing youth soccer. Soccer involves periods of walking, running slowly, and also sprinting at top speed. This type of varied exercise is great for people of all ages. The best part of this type of "training" is that it comes automatically within the game of soccer. Kids don't want to do repetitive sprints and they don't want to take boring long distance runs to gain endurance. 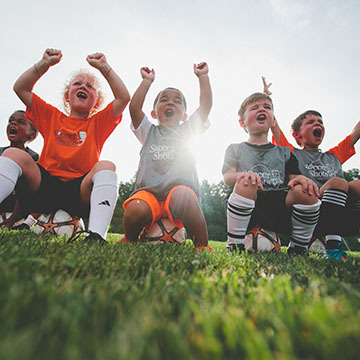 According to USSoccerPlayers.com youth soccer players will not only gain those important physical benefits, but also, perhaps just as important, they should achieve a higher sense of self-confidence and increased social skills. Here's an article on the benefits of soccer for preschool aged children posted on the USSoccer Players website. Cognitive development: Your child can improve their visual-spatial awareness as well as problem solving skills. Soccer is a fast paced game with constantly changing situations. Your child will think faster and respond quicker. An improved cognitive flexibility is the result. Following the ball and the movement of other players involves focus and attention. Improved mental awareness comes with participating in such activity. Your child will learn to follow directions better. The Soccer Shots curriculum include three rules that we have our young soccer players learn from day one. The first rule is to listen to your coach. Following instructions well is an important skill to learn for both kids and adults. The biggest benefit of soccer for 3 year olds: They LOVE it and they have fun playing it. It's no accident that soccer (called football in most countries) is the world's number one sport. It can be played by 3 year olds in the smallest of spaces and it only requires a ball and anything that can act as a goal. The immortal Pele' first played soccer as a yongster with a ball made up of rags stuffed into a sock and his soccer field was the streets in Brazil. It's unfortunate, but some parents of 3 year olds enroll their child in soccer classes because they want their child to become the next Pele', the next David Beckham, Carli Lloyd or Mia Hamm. The truth is there's very little chance that your child will become a well-known soccer star. It's more likely that your child will become a better adult by learning life lessons that come along with participating in a sport. Soccer is great because it can easily be played at an extremely young age. Introducing an emphasis on winning at too young of an age may put undue pressure on a preschool aged child. Overbearing parents who scream at their child from the sidelines of a soccer game likely do more damage to a child's self-esteem than your typical schoolyard bully. Although many of the "graduates" of the Soccer Shots program do go on to become top level soccer players, it's not the mission of the program. There's no doubt that starting young has its advantages. Mainly, it's the number of touches on the ball, the amount of playing time that accumulates over time that adds up to a high level of skill and performance. Soccer for 3 year olds should be quite different than soccer for toddlers and actual youth soccer leagues in terms of the expectations and the skills taught. Soccer Shots certainly isn't the only soccer program for 3 year olds, but we like to think we're the best. that's based on the leadership of our company, the quality of the franchise ownership, their coaches, our commitment to quality, the level of training, and the refinement of our age-appropriate curriculum. We do have more kids enrolled in our program all over the United States than other companies. You can check for a Soccer Shots program near you here. If you feel this article on soccer for 3 year olds was helpful please share it.